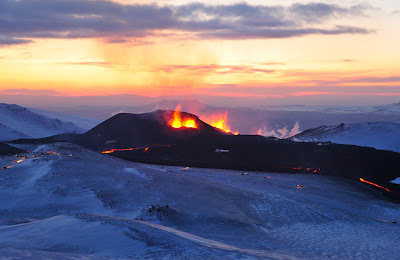 Well, whoever would have thought that a volcano in Iceland would affect my life in Moldova? But there you go - stuff happens and people's lives are affected. It was another Thursday evening. I had spent the day hosting some new friends who had come from the UK. 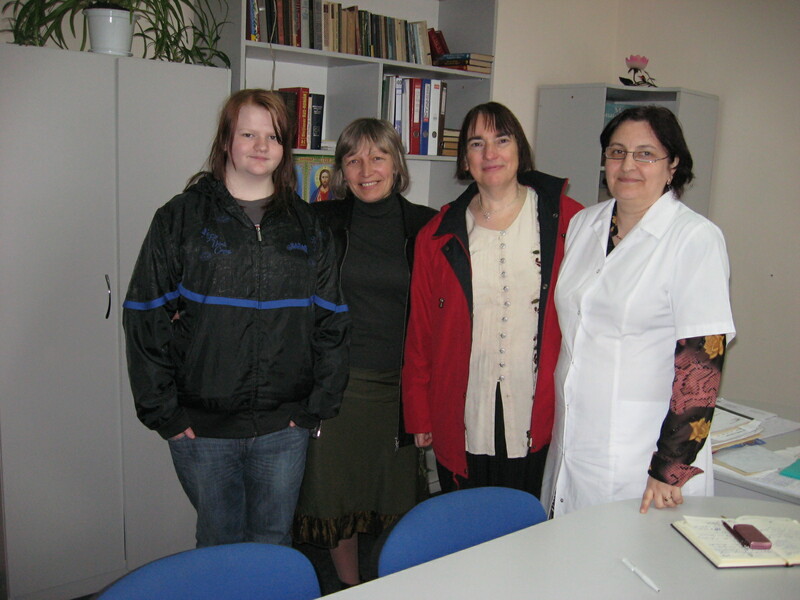 Wendy is a doctor, and along with her daughter Emily, she came to see the realities of life here in Moldova, specifically in regards to medical care, and to offer whatever help she could. 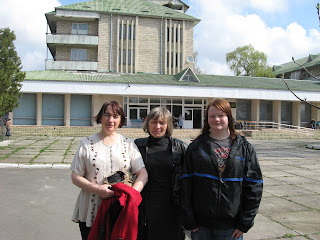 So we had spent the day with the dynamic Sora Sveta visiting an elderly home and then a hospital. I was pretty tired from translating all day but I had also offered to host our British students for supper that evening so we were making plans to head out for pizza, as I had not prepared anything and had no groceries in the house. Then someone told me that one of our Moldovan students had passed out that morning while leading worship and she was still not well. Would Wendy have a look at her? So Wendy did and we decided that in the morning we should take her to the clinic to get some tests. Then just before we went for supper, I received a phone call from a member of the Transit team, who had flown home to England for a wedding and was due to arrive back that evening. "My plane is delayed," she said. "Why?" I asked. 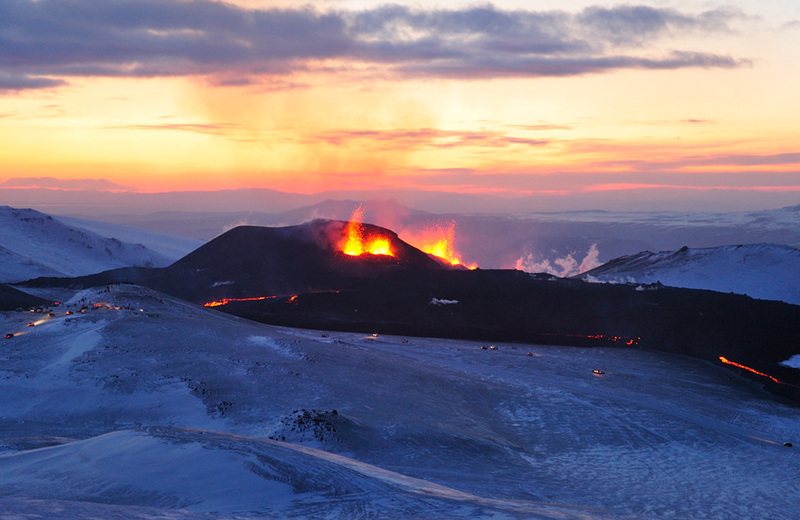 "A volcano erupted in Iceland and all the flights in Britain are grounded," was the astounding response. "What???!! Are you serious?" I was disbelieving at first, but now, a few days later the whole world knows how disastrous volcanic ash can be to the airspace commonly used by airplanes. Last time this particular volcano erupted it wasn't a problem. Of course, that was 200 years ago. New inventions: new problems. So, the last few days have been spent with intermittent phone calls, texts and e-mails related to Amy's being stranded in Britain and also Lilian doing all he could to avoid being stuck in Germany, where he was attending a conference. Now for him, and I wonder how many others, there is another question involved. That is that he, being Moldovan, needed a visa to go to Germany. His visa was going to expire on Monday and the possibility of a return flight before then was not looking promising. If he doesn't return before his visa expires, he will get a black mark in his passport and it could affect future efforts to obtain visas. So there's no waiting around for flights. He's on a train on his way back to Moldova. Instead of a 2-hour flight, he'll be riding the rails for 2 days. But I wonder what happens to other people who get stuck because of volcanic ash and have no options to enable them to get home before a visa expires. What happens to them? Oh - we Canadians have it so easy when it comes to travelling freely! Anyway, before the evening was out we had another phone call related to our sick girl. She seemed worse - so our evening was cut short for Wendy to return and help her out. The next morning was spent also caring for her and eventually sending her to a clinic for some tests. Albina, one of my people, spent her day accompanying the young woman to the clinic. We're still not sure of the exact problem but it's probably some kind of infection that was causing a fever and for which she will have an antibiotic. So, just briefly, to go back to our visits on Thursday. Together with Sveta, who is a nurse who often helps our team in any way she is able, we went first to visit a seniors' residence and then to a hospital. 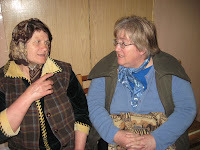 The seniors' residence is run by the state and is one of the better homes for the elderly in Moldova. Sveta goes there regularly with some other women to visit people and share about the love of Jesus. She took us first to meet the director and to get permission for us to see the place and visit some of the patients. This is a new director and he was very welcoming and helpful and sent us off with a head nurse to show us around and answer our questions. We visited people who are still reasonably mobile and then we went and visited in the section where people with far less mobility were cared for. At the bedside of one really old lady was an Orthodox sister who was caring for her - feeding her and reading to her on a regular basis. We chatted with her for a bit and then the others left the room just ahead of me. Before I left the sister said, "She wants to bless you. Lean your head down." As I did so, the lady reached up with her very shaky hand and placed it on my head. She then held out her hand to me and the other lady said to kiss her hand. I did so and although this is not my religious tradition, I sensed a holiness in the moment and the presence of the Lord in a way that brought tears to my eyes. The sister said, "You are very honoured to have been blessed like this." And I felt it was true. I thanked the woman sincerely and left the room feeling a sense of wonder at what had just happened. Another gentleman we talked to loves to write and recite poetry. We were asking him about how things were in the residence and whether he was content here. He said he was very grateful for the day he came there and that he had a poem about it, which he started to recite. I think it was about 4-5 stanzas, most of which he totally remembered and all of which expressed appreciation for such a place to live, where his needs are cared for. (If you had seen some of the conditions of the elderly living alone in this country, you would know how right he is to be thankful.) We thanked him for sharing the poem, and with that encouragement he launched into another one. It was obvious by the expressions on the faces of our guides that this could be a looooong visit. We gently extricated ourselves from further recitations and made our way to visit some others. Once our tour was complete we returned to the director's office and he ushered us, together with the medical chief of staff, into a conference room. He wanted to hear our feedback and to respond to any questions we might have. The medical director was also curious to ask some questions about medical facilities in the west. I did my best to translate but wasn't always totally following as she kept forgetting to stop for translation. One of the things that was interesting to hear regarding staffing - in England, Wendy shared, the ratio of nurses to patients would be about 1/6 or 8. In this facility, the staff/patient ration is more like 1/22. I couldn't really say what it is in Canada as I know we do have a nursing shortage but have no idea what the ratio is. Maybe somebody can enlighten me. Of course, it depends on the kind of facility too. The other interesting thing to hear is that since the communist party is no longer in power, the new government in Moldova is making some very promising changes that will affect medical care. There is a vision for change that only requires the finances to make it possible. For example, in touring this seniors' residence there were parts where renovations obviously had begun but probably had been started a long time before as it was clear that nothing is currently happening. Lack of funding is a very visible reality in Moldova. Before leaving the residence the director ensured that we should see the program room and as we entered we met a lady who also was eager to tell us her story. First of all, she showed us the photo albums she had put together, all organized by year showing all the programs that she had organized for the residents. She herself was a retired teacher and at age 80 is living in the residence and making herself useful by organizing all kinds of programs, from concerts to choir recitals to Christmas programs. She was very positive and very enthusiastic and encouraged me to come and enjoy one of their concerts sometime. As we left, my doctor friend told the medical chief that she had brought some medical supplies and medications that she wanted to give them. They asked if she had brought any adult diapers, which is a huge - and of course constant - need. She went out and bought several packages and gave them, along with the medical supplies, to me to take over to the seniors' home next week. How humbling to be able to help, even in this small way. Afterwards we went to visit a hospital but it was not quite such a successful visit as we couldn't find the director to get permission to visit the wards. 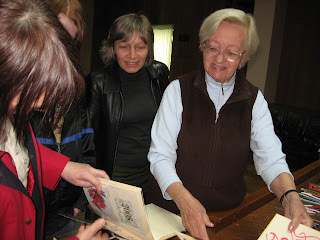 So we walked through and Sora Sveta, in her bold and loving way, sat down and started sharing Christ with a woman who was just sitting waiting for an appointment. 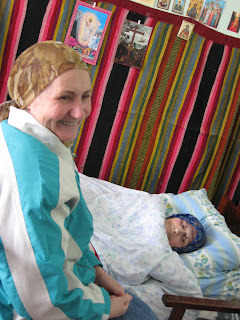 We heard her life's story, and her troubles and Sveta shared some literature with her and lots of encouraging words about the love of God and the need to pray and to believe. Sveta has no fear, and her faith and her smile and her encouraging words seem to leave even the most troubled person with a smile on their lips and - hopefully - new hope in their hearts. Posted by Barb at 3:42 p.m.
Oman Collective Intelligence 2:32 p.m.